Lea Black is a humanitarian photographer, focusing on utilizing photography as a tool to cultivate more unity and understanding in diverse and divided communities. She is committed to using photography as a force for good and aims to reflect back the distinct biographic portrait, and inherent value, of each the people she feels privileged to photograph. Lea received her BS in Interdisciplinary Studies with emphases in International Relations, African Studies, and Nutrition from the University of Idaho. She is a recipient of the Grace and Boyd Martin Award- recognizing students who demonstrate distinctive combinations of engagement in academic and experiential learning about the international system. After graduation Lea worked in Jamaica, first shadowing a local social worker at the S-Corner Clinic in the inner city ghetto in Kingston, and later taught basic nutrition at primary schools in the rural hillside village of Rhoden Hall, St. Ann’s Parish. She now resides in Bismarck with her partner, Charles, and their two boys, Kubindia and Beya. Lea is actively involved in the local international community, specifically in resettling refugees from the DR Congo, and is working passionately towards building a collective culture of compassion and understanding amongst the intercultural residents of North Dakota. Walter Piehl was born in Marion, North Dakota in 1942. His family lived in a typical hard scrabble farm house without plumbing and minimal wind-generated battery-stored electricity until REA in 1950. Loneliness and lack of playmates shaped Walter. Classmates and indoor plumbing cemented his love of school, not necessarily education but school – He’s never been a particularly focused student. At home, he drew endlessly to entertain himself and give substance to his imagination and fantasies. Walter’s father bought farm horses and sold them to slaughter when they were being replaced with tractors. Lots of horses and cowboy culture dominated Walter’s childhood. Eventually his father partnered with another horse trader to supply horses and bulls for rodeos. Western Americana dominated his focus and passion from these experiences. Walter went to college to get out of the haystack and majored in art because he liked to draw. It was obvious you couldn't make a living in North Dakota with art unless you made landscapes with windmills and wheel barrows with flower pots. The teaching profession allowed him to paint what he wanted and how he wanted to paint it. Walter has been married for 54 years to Becky, a 12 year classmate. They have 4 children and 5 grandchildren. Bismarck native, Greg Nelson is a Contemporary Christian producer, songwriter, orchestrator and film music supervisor. He has produced recordings for Sandi Patty, Michael Crawford, Steve Green, Larnelle Harris, Wayne Watson, Twila Paris, and Richard Smallwood, including multiple artist recordings with Amy Grant, Michael W. Smith, Steven Curtis Chapman, Jennifer Holiday, American Boychoir, Bebe and Cece Winans, Graham Kendrick, and Kathie Lee Gifford among others. He has produced multiple gold and platinum recordings along with 20 Dove Awards and over 30 nominations. He has produced seven Grammy Award winning recordings with 13 nominations. He has received song, songwriter, and publisher awards from Broadcast Music Incorporated (BMI), the Nashville Songwriter’s Association, and the Gospel Music Association. He received the BMI “Special Contribution Award” for his many outstanding efforts in the world of Christian music. He was the third recipient of Gospel Music Association’s “Impact Award” for his outstanding work and influence in the Contemporary Christian Music industry. He was a two-term governor for The Recording Academy (The Grammy’s) and a selected member of Leadership Music (Nashville). His productions of The New Young Messiah, Emmanuel, and Hymns and Voices have been successful Christmas tours featuring many high profile artists. In retirement, Greg is continues to write music, and recently completed a suite for tenor soloist, treble voices, organ and strings entitled “The Hallel.” He was commissioned to compose the music for a Christmas poem setting by Minnesota poet, David Bengtson, for the Manitou singers at St. Olaf College. In addition he is completing a theatrical piece centered around Holy Week called “The Passion.” He has penned songs for a number of Christian artists as well as composing several hymns. His modern oratorio, Saviour, co-written with Bob Farrell, continues to be performed in the United States, Europe, Russia, and for it’s twenty year celebration, was performed before a sell out crowd at Carnegie Hall in 2014. Nelson speaks on subjects of songwriting, production and artistry at colleges and universities, mentoring young “creatives” in the U.S., Russia, India and Taiwan. He often travels to Russia to teach at the largest Christian music conference in Russia held in Moscow. Pam and Greg’s most important work in these days is nurturing and being counsel to their children and grandchildren mostly when asked). Jessie Veeder has been a symbol of folk music in Western North Dakota since she released her first original album when she was only sixteen years old. It was an effort that took her from performing at fairs and festivals around her home state to managing a national college and coffeehouse tour, launching a music career that recently landed her in Nashville to record her fifth original album. With unique and interestingly beautiful vocals, Veeder’s lyrics swell with references to her own life experiences growing up on a working cattle ranch. Veeder’s ability to captivate audiences with stories of her love for the landscape, the culture and the people of small town America is what pulls at the heartstrings of audiences across the globe and made her original music such a success. Beyond the music it’s Veeder’s story that has gained her a global following. Her popular website chronicles her life on the Veeder Ranch as a mom, rancher and writer. Her writing can be found weekly in state-wide newspapers and in her newly published book, “Coming Home. Jessie has been featured at the National Cowboy Poetry Gathering, was named 2016 and 2017’s Favorite North Dakota Folk Artist and is a recipient of the North Dakota Ambassador Award. John Bagu has a Ph.D. in Biochemistry but his passion has evolved into clean energy and clean transportation. His family’s house was the largest solar producing entity in Fargo for 4 years and he has been keeping track of production and given numerous tours. He has the first inductive charging system set up in North Dakota for plug-less charging of his Electronic Vehicle. He has also been working with the City of Fargo to develop a Comprehensive Energy Study. In his research, John discovered that the Fargo community spends $500-$800 million every year on energy depending on the price of gas. He created a 30-year plan to make Fargo/Cass County air pollution free which would save $4 billion dollars in comparison to not changing our direction. His involvement brought bike sharing to NDSU/Fargo which broke national records on frequency of use per bike. His role in Southeast Agassiz Resource Council helped bring about the donation of 2 solar panels from the first community solar gardens in North Dakota to Fargo schools resulting in great educational value for children. As a founding member of CLEAN, a community group focusing on local energy needs, John has given many lectures on clean energy/transportation, the possibilities are limitless for incorporating them in our lives. When she was just thirteen years old, Jordan Somer had a desire to provide the opportunities that she had received through pageantry for the female athletes that she met at the Special Olympics. That year, she coordinated the first Miss Amazing Pageant in her hometown of Omaha, NE and became hooked. Jordan held the Miss Amazing Pageant on an annual basis and, upon receiving a Teen Nick HALO Award in 2010, began using her newfound resources to expand the program to other states. Jordan has been honored with the President’s Lifetime Achievement Award, a Daily Points of Light Award, and a Silver Prudential Spirit of Community Award and was selected to be in the top 30 of L’Oreal Paris’ 2014 Women of Worth for her work with Miss Amazing. Jordan graduated from NYU in May with a degree in Media, Culture, and Communication. She is now the full-time Executive Director of Miss Amazing Inc. and looks forward to a life dedicated to making certain that girls and women of all kinds can be heard, valued, and empowered to reach their greatest potential. Scott Holdman is Director of the Impact Institute. He is an innovator in nonprofits who, through training, coaching and product creation helps organizations to thrive. He is a professional creative with 17 years of experience in the social sector solving complex challenges. Nadim Koeilat was trained in general surgery and urology at McGill University in Quebec, Canada. He is board certified in both Canada and the United States. He completed fellowships in Pediatric Urology from University of Minnesota, Neuro-urology from Mount Sinai University NY, and transplantation from the University of Miami. Dr Koleilat has been the director of Sanford Bismarck’s transplant program since 1998. He founded Bismarck Muslim Community Center and acts as their Treasurer and is actively involved within interfaith dialogue. His wife, Rola, is a retired pediatric dentist and their 4 children have followed in their footsteps to pursue careers in medical and dentistry fields. Charlie Koebele, a Bismarck native, is an honor roll student at St. Mary’s Central High School. An incoming sophomore, he has lettered in three high school sports (CHS - swimming and cross country; SMCHS - track) and has three state high school swim team championships and one state high school cross country team championship under his belt. Charlie is the son of Tony and Courtney Koebele, and has two sisters, AK and Izzy. In his spare time, Charlie likes to watch sports, play Minecraft and practice cubing. 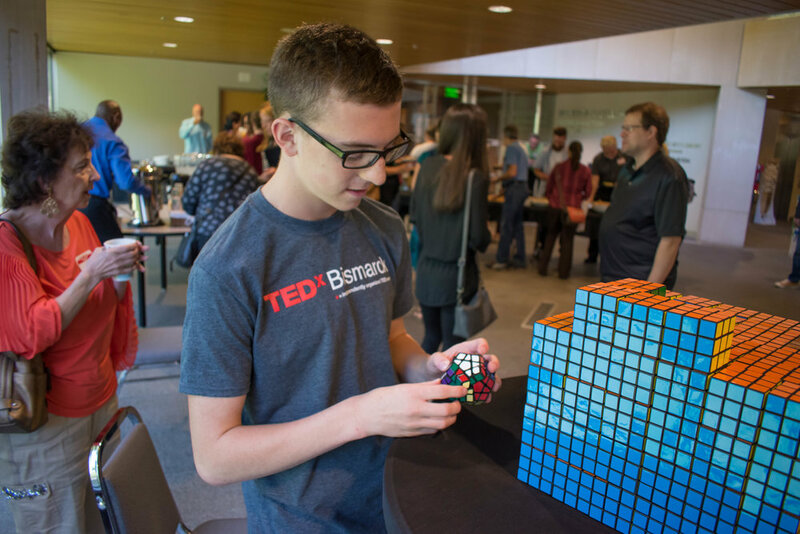 Charlie started doing the Rubik's cube when he was 9 years old, and currently has a competition best of 9.43 seconds for a 3x3 Rubik's cube. Scott Woodmansee was born and raised in the Bismarck-Mandan area and is a 1987 graduate of Century High School. He then attended BSC and graduated from Moorhead State University with a degree in Public Relations with a minor in Business. He has also spent over 20 years in the radio business broadcasting over 1,000 ND high school football and basketball games for KFYR radio in Bismarck as a play-by-play announcer and color analyst. In his spare time, Scott enjoys golf, watching sports and spending time with his family. He currently resides in Bismarck with his wife Andee and step-son Harrison. Janelle Hartford hails from Walla Walla, Washington. Over the past five years, she has proudly adopted a North Dakotan accent and fallen madly in love with knoephla. 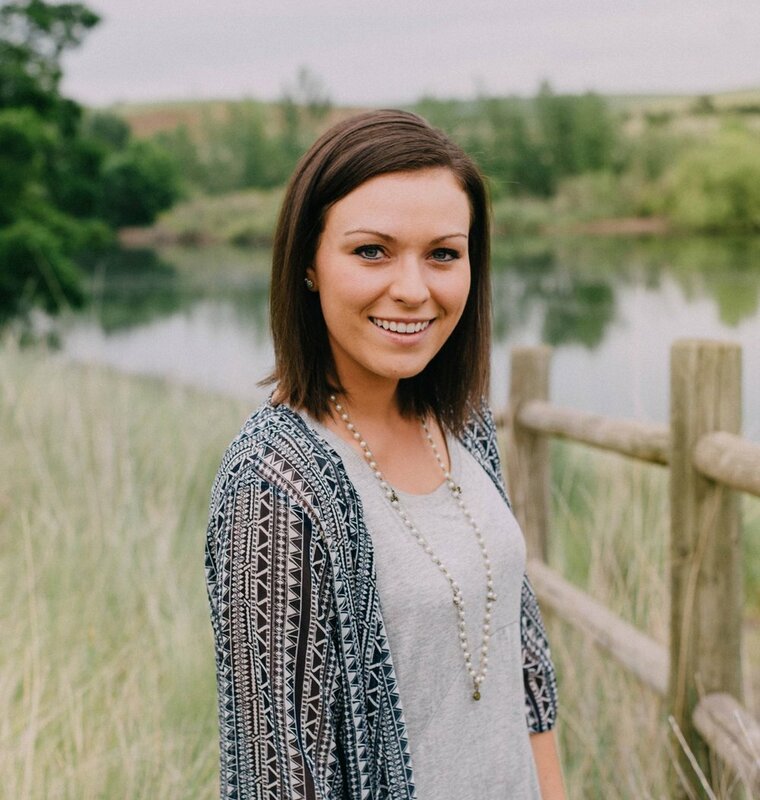 Janelle works full-time with the cool cats at CoSchedule, and she is instrumentally involved with Start Bismarck. Janelle has subscribed to the theory that vibrant downtowns create smart, healthy cities. Connect with Janelle on Twitter @jnhartford. John Bollinger is serving in his fourth Northwoods League season and first as Managing Partner/General Manager of the Bismarck Larks. He previously served as the General Manager of the Kalamazoo Growlers, a Northwoods League team in Kalamazoo, MI. John’s role oversees team business operations, sponsorship sales, and most importantly making sure each fan has a great experience at the ballpark. Before his time in the Northwoods League, John worked two years as the Assistant General Manager of the Southern Ohio Copperheads, a summer collegiate baseball team in the Great Lakes League and and worked in ticket sales with the Springfield Cardinals, the AA-affiliate of the St. Louis Cardinals. John and his wife Marcie reside in Bismarck, ND with their dog Lillian. He is a die-hard St. Louis Cardinals fan, avid golfer, and is passionate about spreading his idea that FUN, if done right, can make a difference in people’s lives.